Layoffs have hit journalism hard this week. There’s a lot to say about how important local news is and what we need to do collectively to help it survive and transform. But we realize that there are a lot of people in a tough situation that don’t have time to talk about the future of local news when they’re facing not having a job soon. So we pulled together various resources that others have been sharing for immediate use, from a long list of job boards to advice from those who have been put in the same spot. 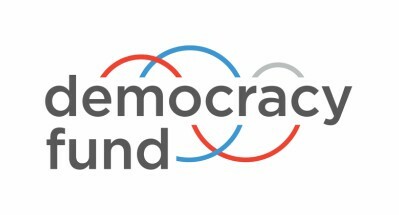 We’re thinking about you and if we can help, don’t hesitate to reach out to tell us what type of work you’re looking for via localnewslab@democracyfund.org. We often get job opportunities sent our way and would love to send them your way. Journalists still grapple with how to cover hate with the complexity and depth the issue deserves. This is an urgent issue and one that keeps surfacing. There are numerous examples we could point to to make this point, but here at the Local Fix we try not to offer critiques without also offering solutions, or at least some pragmatic advice and guidance. As such, we’ve collected a series of resources we think offer specific ideas for strengthening coverage of hate and foster reporting that builds tolerance. Importantly, most of these examples come from people and organizations outside the media. We think it is important to listen to their advice. A CMS to Rule Them All? Journalists love to complain about their publishing platforms. The technology that runs your website shapes how you do your work. This month WordPress announced a new product called Newspack specifically focused on serving local news organizations, which they describe as “an advanced open-source publishing and revenue-generating platform for news organizations.” With backing from the Knight Foundation, the Lenfest Institute and partners like the News Revenue Hub and Spirited Media, the project wants to serve as a complete technology solution that gives local journalists access to all the tools they need in a simple package. The announcement caps a few weeks of news and discussion about the role of content management systems (CMS) and how they enable and inhibit innovation, engagement and sustainability in journalism. You can sink your teeth into the CMS debate through the links below. P.S. Welcome to our new fantastic intern Maya King. Maya will be writing for the Local Fix and working on many other projects with our team. We’re excited to have her! Say hi over on Twitter.